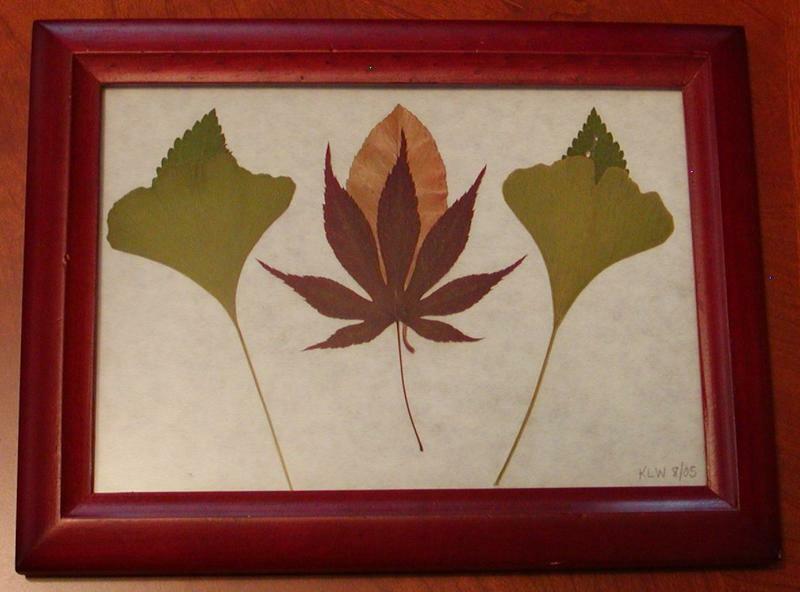 I recently discovered the beautiful work of the artist behind pressedleaf.com and bought one of his works for my house. 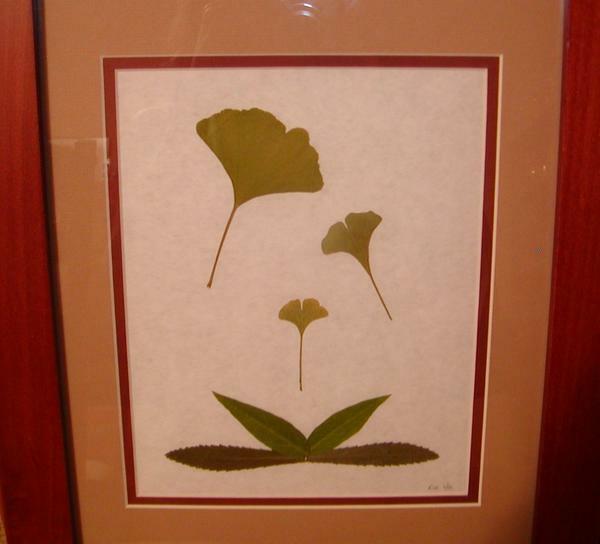 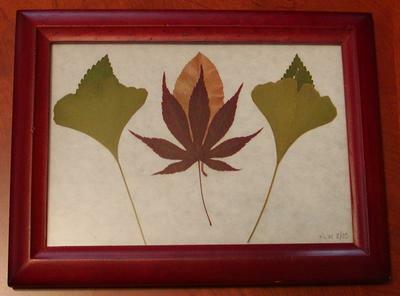 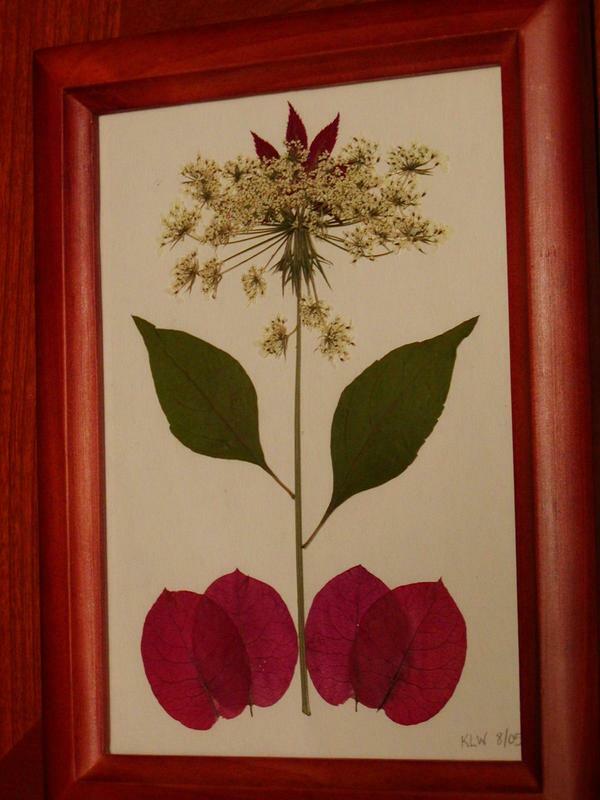 It then occurred to me that one way to preserve a tiny sliver of the bounteous leaf and flower production constantly underway at my house would be to create my own pressed leaf art. 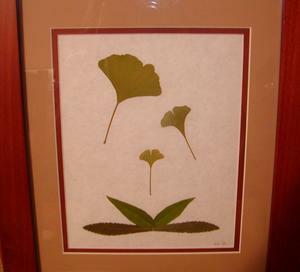 This page contains a sampling of some of the pieces I've created for family and friends.